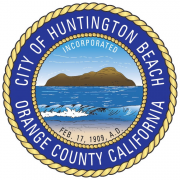 This is an excellent part-time job opportunity for an individual to provide staff support and customer service to patrons of the City of Huntington Beach libraries in the Library Services Department. The ideal candidate must possess effective and cooperative communication and interpersonal skills and have the ability to relate to a diverse group of people. This is a Non-Perm, Part-Time position. General/Overall: Provides quality customer service to the public; interprets, explains and enforces library policies to the public; answers questions and assists patrons in person and over the phone; may perform other duties as assigned in more than one division. Work at a variety of service desks and public areas to welcome library users, answer questions and guide patrons of all ages in the use of library resources. Issue library cards, assist patrons with self checkout stations, handle cash and credit card transactions, and maintain borrower accounts. Assist patrons in using library computers, software and equipment, and educate patrons in the use of new technology. Requires education, training, or experience equivalent to two years directly related experience with demonstrated technical skills. Applications will be closely reviewed for relevant experience, education and training. Applicants best meeting the City's needs will be invited to a department interview. Other background reports may also be conducted depending on the position.